Solid, sleek and durable aluminium houses our 7SENSES™ tracking technology. Experience unrivalled feel, speed and pinpoint accuracy from one good-looking ergonomic mouse. 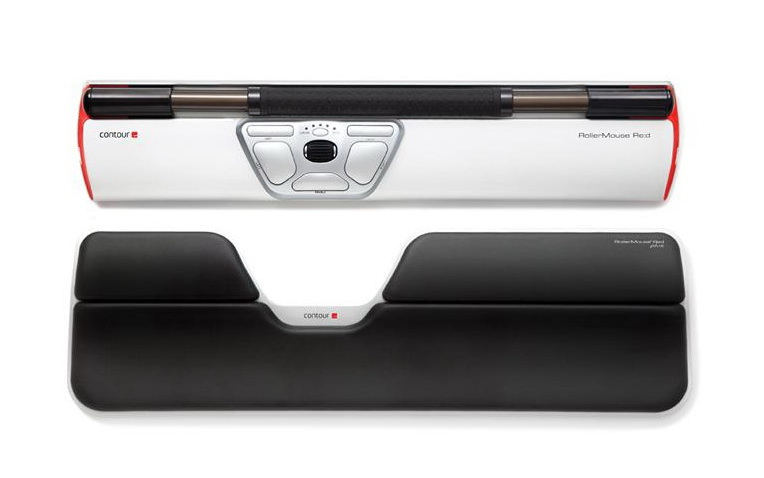 7SENSES™, new tracking technology inside the rollerbar, provides unmatched cursor precision and control. The position of the sensors, placed inside the bar, protect it from dust and dirt. 7SENSES™ tracks cursor position, constantly adjusting speed and acceleration to ensure the rollerbar is as central as possible, while intuitively adapting to your pace to decrease micro movements and increase efficiency. Get more control and less strain with the bigger and better rollerbar. We’ve replaced the mechanical mouse click with a virtual click to remove force feedback and reduce the risk of unnecessary strain. This effortless digital mouse click combined with the thicker, textured rollerbar makes it is not only easier to handle, but also feel good. RollerMouse, centrally placed in front of your keyboard, eliminates the need to grip or reach for the mouse, which can stress the neck, shoulders, elbows, and wrists. This optimal work zone corrects posture and prevents injury. 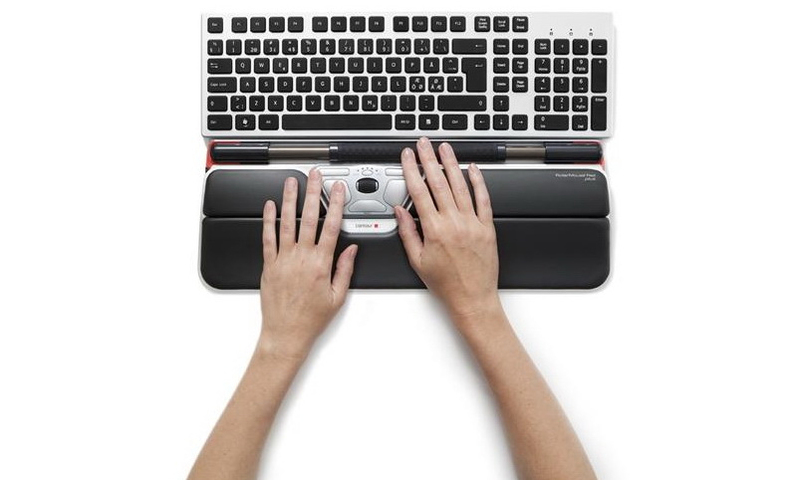 Use the wrist rest, both hands, and vary your position to avoid discomfort. Simply a better way to work. 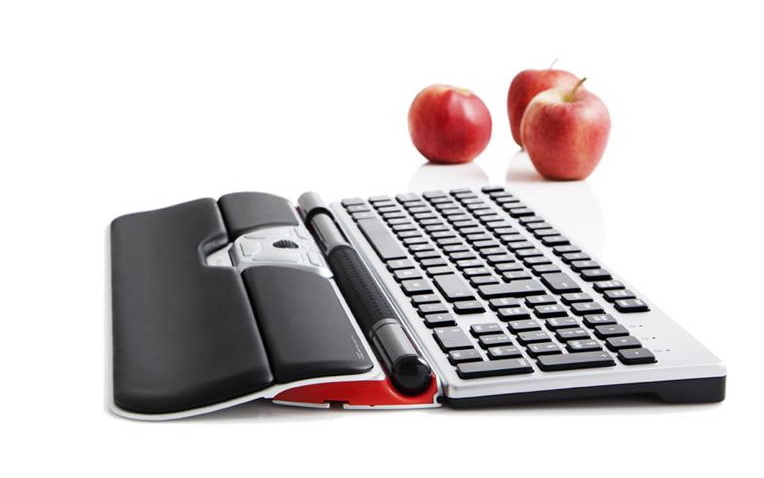 Available separately as Red plus palm support or included with the RollerMouse Red plus, the latest addition to the RollerMouse Red family provides the added benefit of an extended, leatherette palm support. The palm support helps improve hand posture and distributes pressure over a wider area. Along with a tapered angle and soft inner core, the RollerMouse Red plus provides more comfort than ever before. 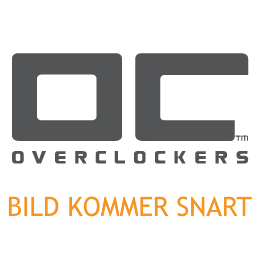 This is ideal for desks with at least 30cm of space in front of the monitor. The new rollerbar is easier to use and even more precise. The larger surface gives you more control when pointing, rolling or clicking. It adapts to the individual, from professionals using CAD and other advanced design programs to the average user. RollerMouse Red is compatible with Apple OSX, Apple Mac OS 8.1 or newer, Microsoft Windows 8/7/Vista/XP/ME/98 and comes with a 2-year warranty.